Most people think that spring is the time to think about personal taxes, but if you really want to maximize your income tax return, it’s best to start your planning before the end of the year. I’ve already started calculating my actualized non-registered capital gains for the year so that I can think about which losing positions to sell to offset the gains (tax loss selling – more on this below). Personal taxes are probably the last thing on your mind, but it’s likely your biggest expense so it’s worth a little planning! 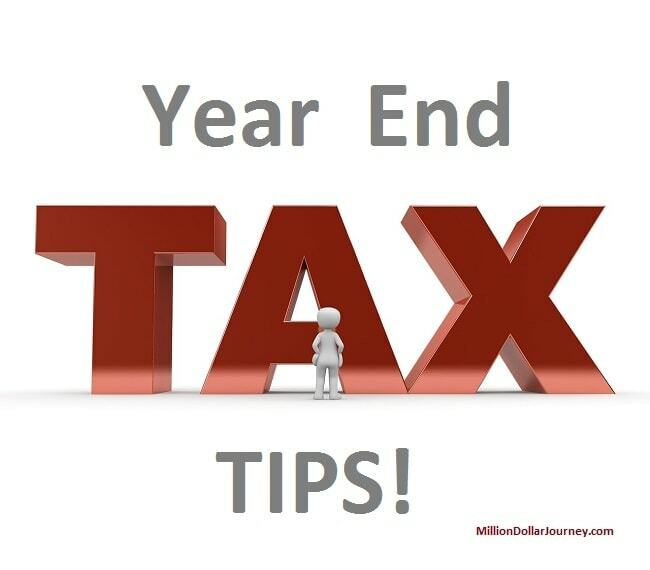 While these tax tips are geared towards investors, there are some tips for all tax filers as well. Tax Loss Selling. The first step is to calculate your capital gains for the year. This is only necessary for non-registered (taxable) accounts. If you only have RRSP and TFSA accounts then you can skip this tip! If you have taxable capital gains this year in your non-registered account, you may want to sell some of your losing stocks. Why? The realized losses will offset your gains, thus reducing your taxable amount. Capital losses can also be carried back against capital gains accrued in the previous 3 years and carried forward indefinitely. Make sure you do this by December 27th at the very latest as it takes 2 business days to settle your trade. Frequent Trading Record Keeping – If you frequently trade in a non-registered account (I have a fun trading non-registered account), you are responsible for tracking your capital gains and losses. This can get tricky if you frequently buy/sell partial positions as you’ll need to track your adjusted cost base. You can do this manually, but in more complicated cases you can use a free online app like adjustedcostbase.ca. I started using it a few years ago, and it does the job! Be Patient when Taking Stock Profits. If you want to take profits in a stock (in a taxable account) try waiting until the new year (if you can). That way, you’ll have a year of tax deferral. Moving your TFSA – If you are considering moving your TFSA to another institution, December is a great time to do it. Why? Because it’s the simplest way to avoid over contributing to your TFSA. As a backgrounder, the amount you withdraw from a TFSA in the current year, you can re-contribute the following year. Say you have a TFSA with a high-interest rate savings account, but you’re now looking to move the money into a low-cost trading account. If you contribute to a TFSA then withdraw and redeposit the funds in the same year, you could possibly over-contribute and face hefty penalties. To avoid the dreaded fees and over contribution rules, simply withdraw the funds from the institution in December to maximize interest gains then wait until the new year to deposit the funds into a trading account. Problem solved! Contribute to your RRSP – Although you have lots of time to contribute to your RRSP (here is the RRSP deadline for 2018/2019), it’s a good time to start thinking about ways to reduce your taxable income. There are lots of discussions about RRSP vs. TFSA. As a general guideline, if you are high-income, RRSPs are your friend. The tax deduction will make it worth your time, providing that you invest your tax refund. If you are lower income at the moment, stick with TFSAs first, then think about RRSPs later as your income increases. For government workers with defined benefit pension, TFSA first, then RRSP if you have money left over. Private Corporation Dividends – For you business owners out there, if you expect to have a personal tax refund this year, you may want to pay yourself a dividend to as a way to pull money out of the company without paying the personal tax out on those dividends out of pocket. We pay enough out of our company to reduce our personal tax refund to close to $0. Alternatively, if a dividend would result in personal tax payable, consider holding off until January as you would have another full year before paying the taxes due. Organize your Paper Work. If you are diligent with organizing your tax paperwork, it’s soon time to separate your current year receipts/paperwork from the upcoming year. What I typically do is clear out the filing cabinet at the end of the year and put all tax paperwork into large envelopes. This comes in handy when filing income taxes before the income tax deadline in April. Charitable Donations. You have until Dec 31 to make your charitable donations in order for it to count under the current tax year. If you have a spouse, make sure you file all the donations under one person. Here is an article on how the donation tax credit works. Donate Stock instead of Cash to Charities. If you donate stock to a charity instead of cash you’ll get tax bonuses. The tax regulations now state that stock donated to a charity will not face any capital gains taxes AND the contributor will receive a tax receipt for the amount donated. Check out my article on “Charitable Donation Tax Credit Strategies” for more information on how to maximize this tax rule. That’s all I have for now, let me know if you have any additional tax tips! Is the link about charitable donations is still current. I noticed a date of March 6, 2007 at the top of the article. Yes the Charity rules haven’t changed in a while (except the first time donor rule).